When I began this eight week project I was looking to combine my carbon fiber fabrication skills and knowledge with my design process. 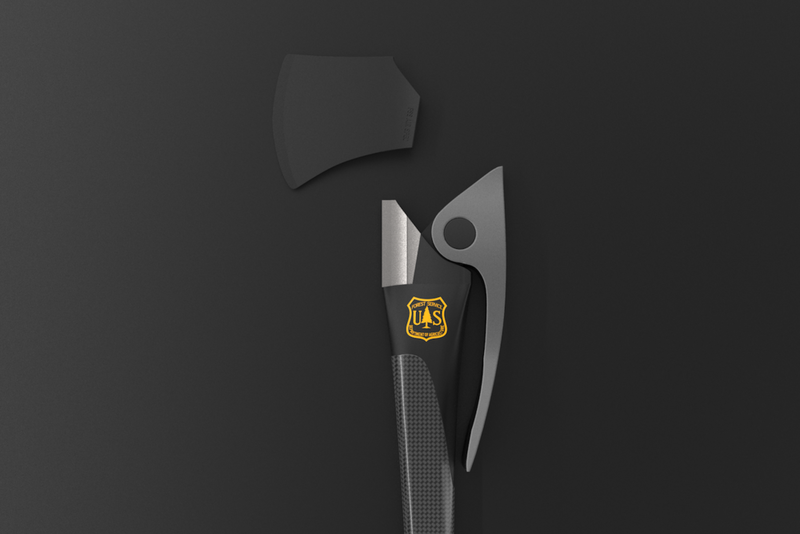 I wanted to make something utilitarian and discovered an opportunity in wildland firefighting. 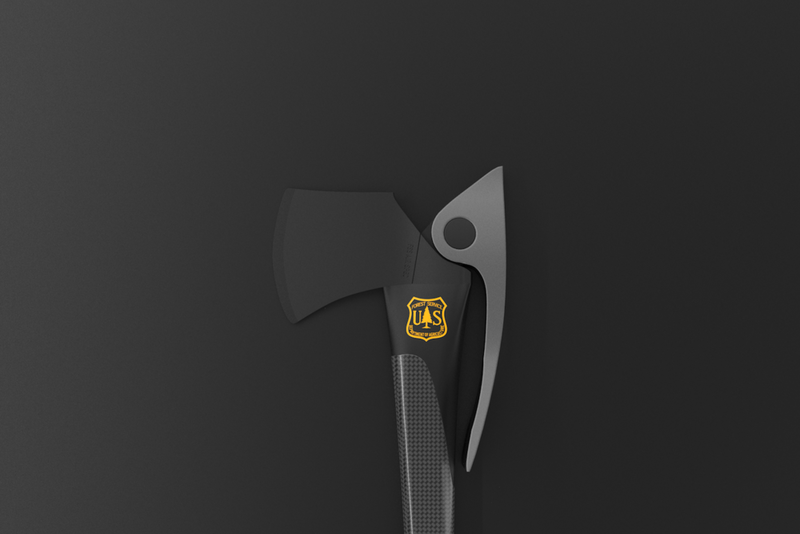 First invented in 1910, the pulaski has been the go-to wildland firefighting tool for over a century. 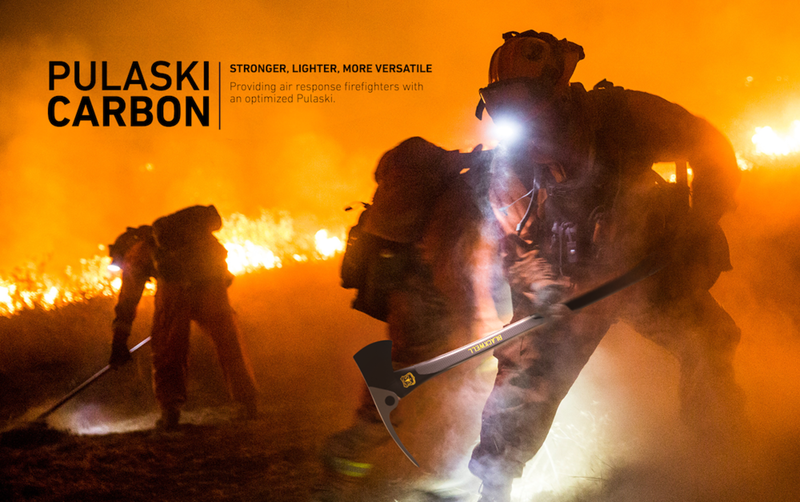 Part axe and part mattock, the pulaski gives firefighters the ability to chop or dig on the fly. These methods are used to create a “fireline” which contains a fire until it’s extinguished. 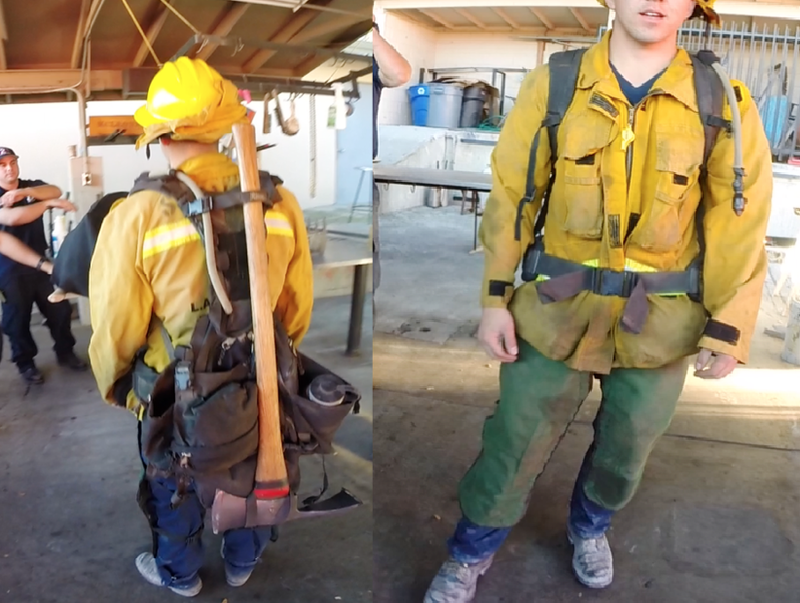 To better understand the world of a wildland firefighter, I interviewed and observed them at their respective departments and firefighting camps. “You’re not getting much good work on a fireline with a dull tool”. A sharp pulaski blade is essential to fighting a fire. 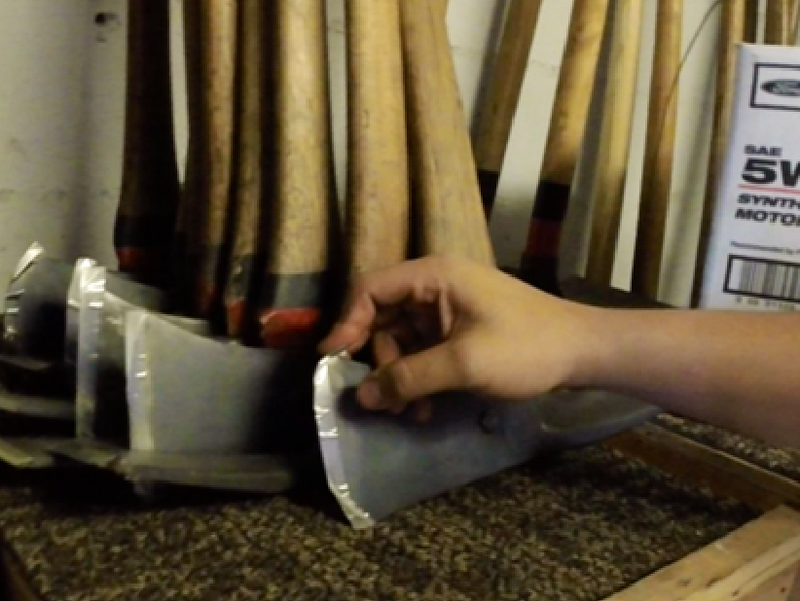 To protect blades when not in use, this fire camp uses fiber tape. Blades are constantly being resharpened in the field during use. When responding to remote fires by helicopter, firefighters are only allowed one tool each due to weight restrictions. Pulaski’s and other sharp tools are wrapped in a bag to avoid damaging the helicopter’s interior. “With all the gear we are carrying, plus the terrain, I prefer to have a lighter tool”. Wildland firefighters hike for miles over uneven terrain carrying all of their gear with them. Pulaski’s are usually strapped to their back’s or carried by hand in the field. 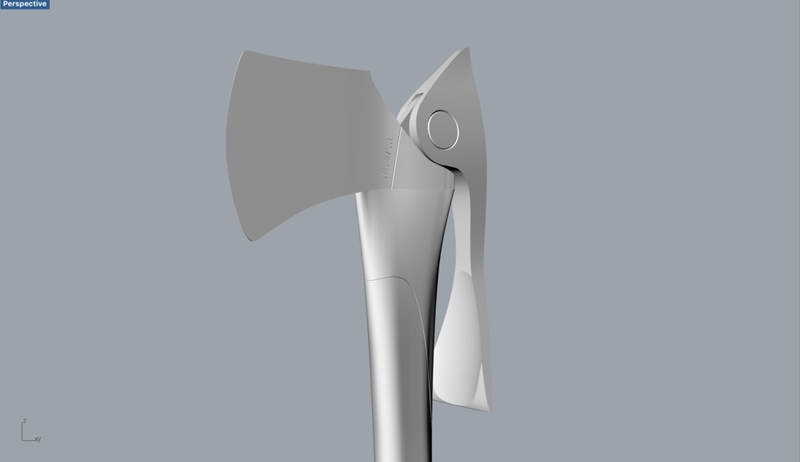 I prototyped the design of my handle out of carbon fiber using my composites fabrication skills. The carbon fiber handle of Pulaski Carbon makes it lighter in weight and stronger than traditional wood handled pulaskis. Carbon fiber is also fire resistant and not flammable. As an added layer of protection, the steel collar guard protects the shoulder of the pulaski in the event of an "overstrike", which is when the handle strikes the object being cut instead of the blade. Shattered handles from overstriking are a common source of pulaski failures for wildland firefighters. Two large buttons on both sides of the mattock can be squeezed while wearing gloves to unlock the blade. The blade can be kept off when transporting, or swapped with a fresh replacement in the field.